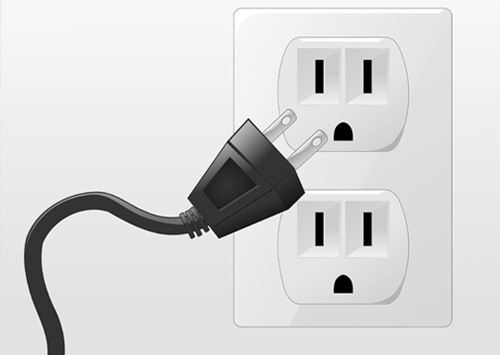 Have you run out of electrical outlets in your home? While adding new outlets might seem like a weekend DIY project safety experts recommended to work with a licensed electrician, such as APJ Electric, LLC to ensure the safety of your family. Electrocution and fire are always concerns and you may not be aware of the always changing building code requirements and laws for electrical work in your local area. Making sure everything is up to code will save you a lot of headaches in the future, and especially when you try to sell your home. Whether you need a standard 120 volt outlet, a 220 to 240 volts outlet, or a grounded outlet for your kitchens and bathrooms we can install it safely for you. If necessary, we can install your new outlets on its own circuit. Most homes have will sufficient capacity for the new circuit in your electric panel, however if your home does not we can upgrade your electrical panel as well. Remember, no job is too big or too small!